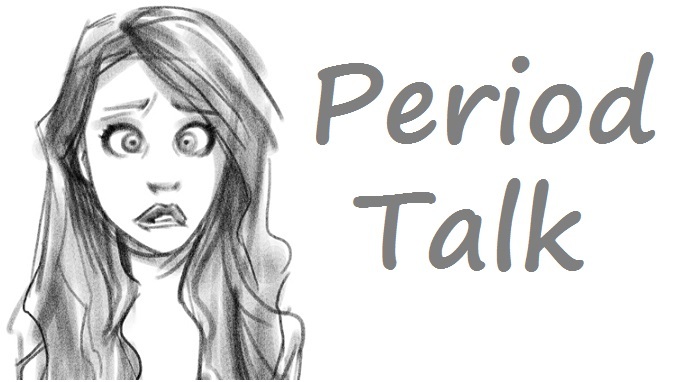 I was asked to do "The Period Tag" and I thought I would give this blog post a little bit of a twist rather than it being a tag blog post because I know I do a lot of them. Not only am I going to do the tag but I'm also going to include my period time essentials..
You may have seen this blog post where I told you all about Pink Parcel. For those of you who haven't read it I would suggest doing so but to give you a quick over view of it all, Pink Parcel is a monthly box you can sign up for - just like glossybox or birchbox. If you want a small sneak peak about what you can get inside a Pink Parcel monthly box then please click here. I also want to talk about Always. I have used Always for years now, they are my go-to brand as of course they are my favourite. Always want all girls to live life to its fullest potential and they’re right here to back all of you. Why? They believe women are incredible. We have unlimited potential. We’re strong with a splash of fabulous and a dash of wonderful and can do anything we put our minds to. And Always are our biggest cheerleader! Tampons and pads: Obviously, an essential when on a period. Comfortable clothing: I hate being uncomfortable, and being uncomfortable when being on a period is so much worse. I get such a high temperature and fidgetly if I'm uncomfortable any time so being on a period makes me worse. I wear p'jarmers as much as I can when on a period. Hot water bottles: Having ulcerative colitis I am always using my hot water bottle, but it never really leaves my tummy when I'm having my period time. Hot chocolate: Every girl loves hot chocolate don't they? I'm not the biggest fan of eating much when on a period as I always feel so unwell, but drinking hot chocolate always makes me feel so much better! The hot chocolate brand Options are my favourite. A good book or movie: Being on a period means 'me time' so I like to snuggle up as much as I can reading a good book or re-watching my favourite movie or television shows. Scented Candles: I love candles anyway just like so many people know, candles relax me. I bought this one from my local Primark store for only £3 and it smells amazing. I would recommend everyone trying it if you can get your hands on it. Bubble baths: As you all know already if you've been reading my blog or following me for a while, you'll know how much of a fan of baths I am. I try not to have "bubble baths" with actual bubble bath or bath soak unless I'm on my period. Although, every bath I do have I adore my bath bombs and bath blasters. They make me feel so girly and beautiful when I'm having a bath. FemFresh: This product is part of my intimate care routine, as it helps to keep me clean, fresh and confident when I'm having my period time. Femfresh soap free intimate hygiene care is lightly fragranced and is dermatologically and gynaecologically tested . Femfresh is for everyday use, with a gentle alternative to soap when having my women time of the month. Its specially formulated for intimate use, with an anti-bacterial agent for odour free confidence everyday of the month. BB cream: I don't like using foundation when I'm having my period because I get so warm and flushed that my makeup really does just go oily through-out the ran and becomes patchy and blotchy. So I love BB creams for my period time of the moment. For a more designer brand I love the Estee Lauder Double Wear All-Day Glow BB Cream as it keeps my skin beautiful and even out. 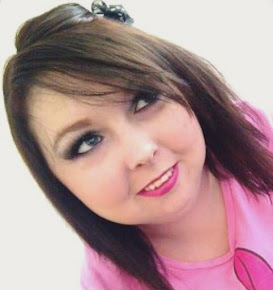 For a high street brand I love Maybelline's Dream Fresh BB Cream as it keeps my skin feeling fresh and bright through-out the day. Lip scrub and lip balm: Dry lips are something I seem to suffer from all year 'round so I try to keep them as smooth and soft as possible. I love Lush's lip scrubs for making my lips feel beautiful. FemFresh is the UK's leading brand for intamte women's fresh range. 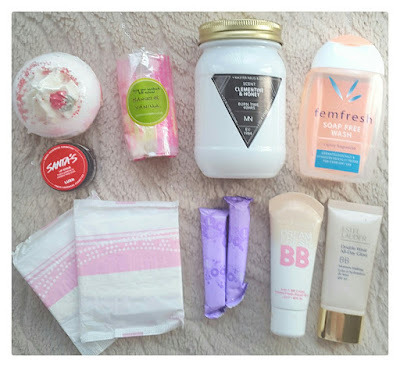 I want to thank Femfresh, Always and Pink Parcel so much for sponsoring me for this blog post as I think it's such an important brand for women at all ages to use to take care of yourself, especially for period time. Femfresh is such a different from any other intimate brand out there. Femfresh is a gentle and caring, with pH balanced intimate skincare wash that’s different, because your intimate skin is different. Most ladies have hundreds of lotions and potions to care for the different areas of the body, but with its very own unique pH, what about intimate skin? Often this delicate skin is overlooked, using either an everyday body wash, which can in fact strip this very sensitive skin of its natural defences, or water, which is great but lacks the extra TLC this very special skin deserves. Femfresh has created a range of intimate skincare products that are specially designed to care for this unique pH, and have been gynaecologically and dermatologically tested, so they’re super safe and gentle too. Finally, the everyday care it deserves. Their website is filled with advice, tips, tricks, period time FAQ and a professional Doctor's advice with everything from what to eat to how to exercise and feel comfortable at the same time. This is such a good website and brand range for women of all ages! 1. When age did you start your period? I started my first period when I was about ten years old, I was really young. 2. Where did you start it? I was at a friends house at the time. 3. How do you feel about it? I remember we were supposed to be going shopping, and I'd felt unwell all morning so we decided to stay in for the day and have a movie day. But during the afternoon I started my period and I felt really sick and remember I just wanted to go home and go to bed, so I did. I told my friend who's house I was in at the time and she got my a sanitary towel from her older sister's bedroom. 5. What period products do you use? As I mentioned above it really depends, I use towels and sometimes tampons. 6. Are your periods regular? No not at all. Because of my medication my periods really do go up and down a lot. 7. What's your favourite period product? I have always used Always. I've tried a couple of different brands through-out the years but for me, always are the best. 8. Are your periods heavy? Yes, since loosing my daughter whilst 17 weeks pregnant my periods have gotten heavier. 9. How long are they? It can really depend between two days and a week. 10. Do you get cramps? Yes, because I have ulcerative colitis as well it's horrid when I get my period. It feels like I'm in labour non-stop. 11. Do you get PMS? If so what symptoms? I do. I get such bad mood swings, a really bad sleeping pattern, headaches, and the smallest things bother me. Example: if the bed isn't made properly, or the dishes haven't been put away. 12. What's the most embarrassing thing that happened to you (period wise)? I once started a period early and was in high school at the time. I had to go to the tutor who was tutoring me and ask for a note to be sent home. Unfortunately, the tutor was male and so good looking! But he was so understanding about it that whilst waiting for my parents to pick me up from school he made me a hot chocolate. Tip: If you ever start your period when at school, at a friends house or anywhere that you think will be embarrassing, just don't worry too much and if you need some help from someone near just ask them. They will be more than helpful. I hope you all enjoyed reading this blog post, I know it was a little bit of a Too Much Information blog post but I really do hope it's helped some of you out with any questions or concerns which what you may be dealing with. You can find Always products at your nearest supermarket stores, poundland stores, boots stores or superdrug stores.